We've rolled out new Programs for 2017! 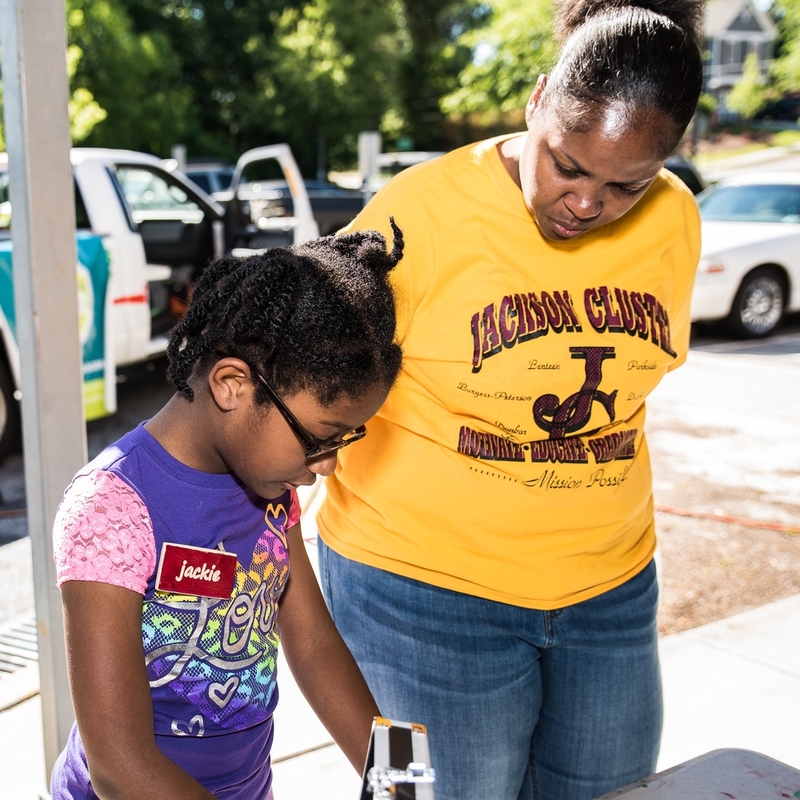 According to the 2015 NAEP (considered the Nation's Report Card), after 13 years of public schooling, less than 40% of students are ready for college and career success. STE(A)M Truck is the hugely innovative, results-producing, award-winning program from Community Guilds. 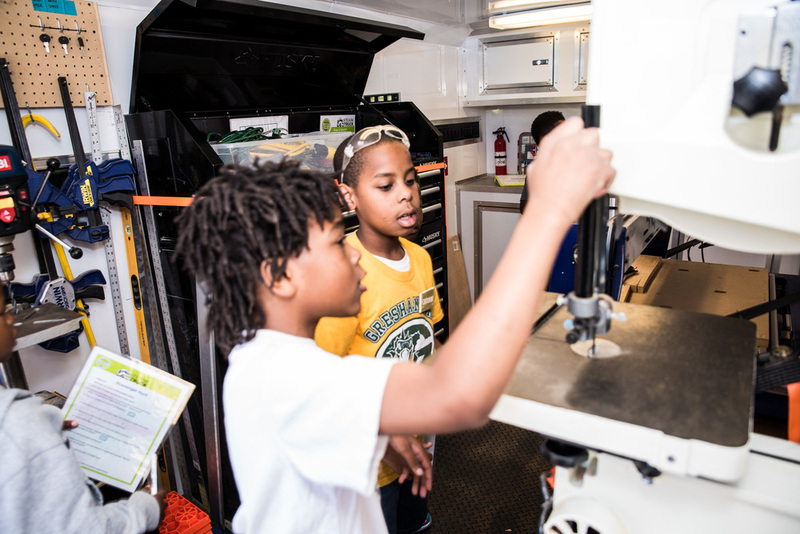 It is a mobile makerspace wrapped around a dense, multi- faceted curriculum that is designed to pull kids out of their comfort zones and help them see the awesome potential that is their future selves. 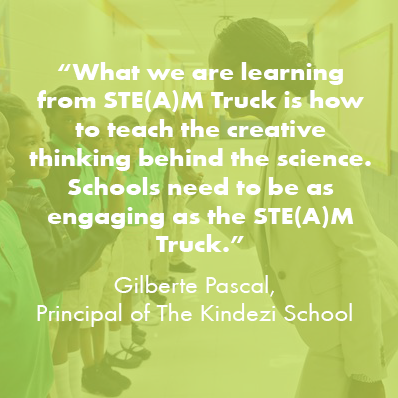 STE(A)M Truck is changing how teachers teach and what students learn. 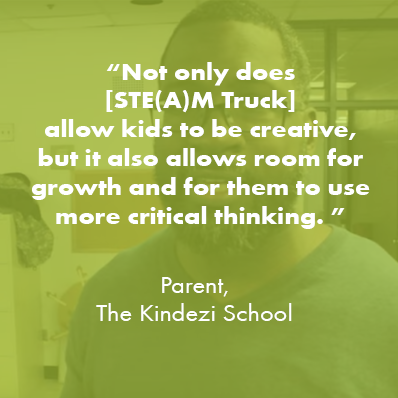 Access to hands-on building, tinkering, and the kinds of curriculum offered through STE(A)M Truck can increase access to STEM careers and build the skills critical for long term success. However, the tools, expertise, and time needed to utilize these types of strategies are usually unavailable in public schools, and especially so in public schools serving low income communities. Our program provides access to materials, expertise, and curriculum that can reach students during the school day directly on their own campus. To close opportunity gaps and provide lifelong opportunities by transforming teaching and learning through an experiential maker approach that brings together youth and adult learners within collaborative communities! Through formal and informal educational experiences, K-12 youth throughout the U.S. will have equitable access to transformative and inspiring learning experiences that open doors for future life opportunities. Based on assessment prior to and following a variety of STE(A)M Truck engagements, we've seen some exciting results.